When Anita Tsuchiya began acupuncture 22 years ago, she thought it seemed crazy—until she tried it. “I had a chronic candida infection, and my first treatment cured it. I was impressed, to say the least,” says Tsuchiay, who continued treatment for pain from sports-related injuries. However, the 51-year-old freelance writer virtually stopped 10 years ago because of the price for a private session, which ran between $65 and $175. In recent months, however, community acupuncture clinics have made it possible for her to resume treatment without the expensive bills because. In these clinics, between 10 and 50 patients are seen simultaneously. The community-based approach was brought to the States in 2002 by the Working Class Acupuncture, based in Portland, Ore., which founded the Community Acupuncture Network in 2006. The goal is affordability and accessibility, charging fees on a sliding scale, from $15-$40 per treatment. 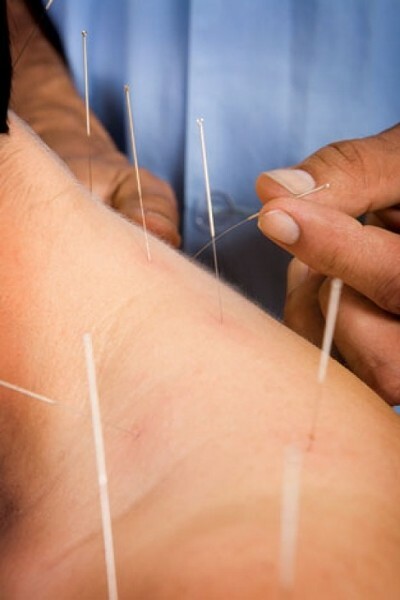 During an acupuncture treatment, solid filaform needles are inserted—generally, a half-inch deep—into specific points along meridian lines to balance the body’s energy, free blocked energy and help vital organs. The 14 main (and billions of smaller) meridians are the connecting pathways throughout the body, serving to nourish all tissues with qi (energy) and blood. In community clinics, they’re accessed from the knees and elbows down, says SLC Qi co-owner Dean Woolstenhulme. Acupuncture might sound New Age-y and difficult to comprehend from a Western perspective, but Woolstenhulme says it has benefits that would surprise people. Acupuncturists treat various ailments, including but not limited to addiction withdrawals, anxiety, digestive problems, chronic fatigue and high-blood pressure. As for privacy, the community clinics do not require a communal treatment. All of the clinics have separate rooms for talking privately, if desired, and offer private sessions. Ottley says the risks are minimal. “Anytime you use something sharp and stick it in someone, you have the possibility to create harm. Aside from rare, minor bruising or a few drops of blood, it’s a very safe practice,” says Ottley, who can’t recall any serious national incidents from licensed acupuncturists. Clinics acquire licensing from the State of Utah Division of Occupational and Professional Licensing via training and testing. During treatment, appropriate protocols are followed, such as basic hygiene, sterilization and keeping ill patients out of communal rooms.